It is recommended for a toddler to see a dentist around age 1 when the first teeth start erupting. However, when your child has transitioned from the bottle to a cup and doesn't snack or ask for a drink at night (both habits increase the risk of cavities), you can wait until age two (2) before the first visit to see a dentist. That's when the regular six-month dental checkups should kick into gear. Between ages four (4) and six (6), expect the first set of digital mouth X-rays to check for cavities sneaking between the teeth. Prevention is the key between ages of six (6) and twelve (12) when baby teeth give way to permanent teeth. Check with your child's dentist to suggest a sealant - a plastic resin that bonds to a tooth's chewing surface -- between ages seven (7) and nine (9). Teeth in the back of the mouth more cavity-prone and are the most likely site for treatment. You are wondering how to prepare for your child's first trip to the dentist? Be brief - Parents tend to over-talk upcoming dentist visits with the child to prepare them, a strategy that often backfires. Avoid making a big deal about the dental appointment. Let your child know ahead of time about the visit and leave it at that. Stay positive - Parents who have had bad dental experiences often assume their kids will, too. Don't talk about fear - it just sets up negative associations with the dentist. 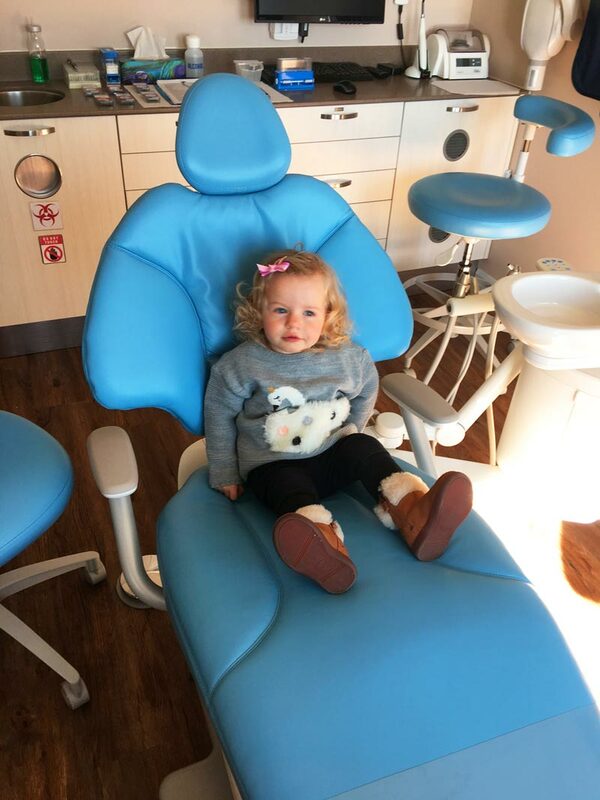 Lakefront Family Dental first fun visit does not include treatment, and we get your child comfortable in the dental chair before any work. Be a presence (not a nuisance) - Many parents repeat the directives given their child by the dentist or interject in other ways during office visits. But hearing multiple voices confuses your child and blocks an opportunity for bonding with her dentist. Our dentist will ask you relevant questions directly when needed. At our dental office, the initial fun visit allows a child to get comfortable and relaxed, making the first appointment positive. The main focus for a fun dental visit is to get the child acquainted with the sights of dental equipment and sounds of the dental office. We also want to answer any questions for the parents, to provide home care and oral hygiene instructions and most importantly to make sure the child has a great time at the first visit. If the child is not in a mood or had a bad day, we don't force dental treatment. Our aim is for the toddler to leave our office unafraid and eager to come back next time. Be sure to take care of your child's teeth and gums between regular dental checkups. Plaque is always forming on their teeth, but it can be managed by brushing and flossing regularly. Brushing twice a day is essential for your child and brushing before bed gets rid of harmful bacteria which accumulates through the day. What else stays in your child's mouth? Sugar, which is food for bacteria that causes cavities. Brushing and flossing help to remove bacteria. Brushing before bed encourages good oral health habits. A baby flosser is a great starting tool for parents. Children flossers are easier to use, look more appealing to children and will make this task much more relaxing for both parents and children. Once children get comfortable with them, they can graduate to regular floss. During the dental check-up, our dentist will check your child's overall oral health for any trouble areas. During teeth cleaning, our hygienist will remove any plaque, and tartar build up followed up by polishing your child's teeth. Schedule your child's first visit at 905-635-1100.